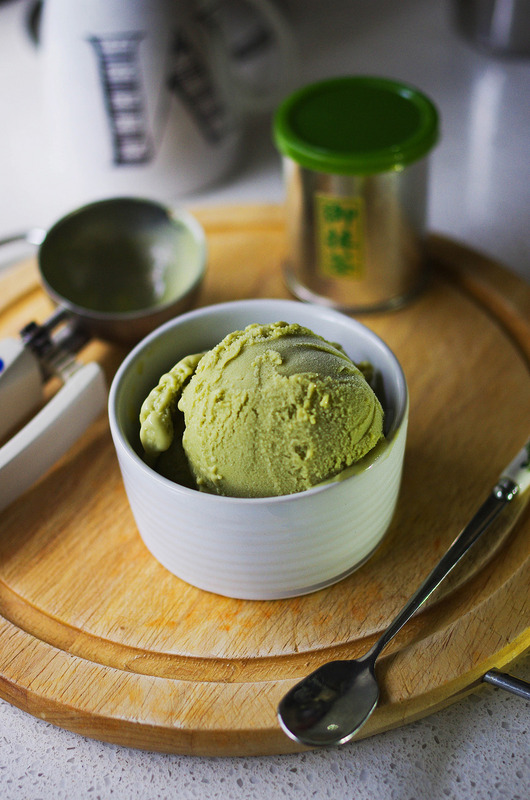 Ice cream has always been one of those things that I’ve wanted to try making from scratch. I can’t really explain why, either – it’s not like I don’t already have tubs full of it in the freezer, or that we’re deprived of good gelato options in Sydney. I guess the idea of whipping up wacky flavours à la Masterchef is super appealing, but a lack of an ice cream machine has been the only thing ruining my plans! 1. Freeze your ice cream maker’s cannister according to the manufacturer’s instructions. 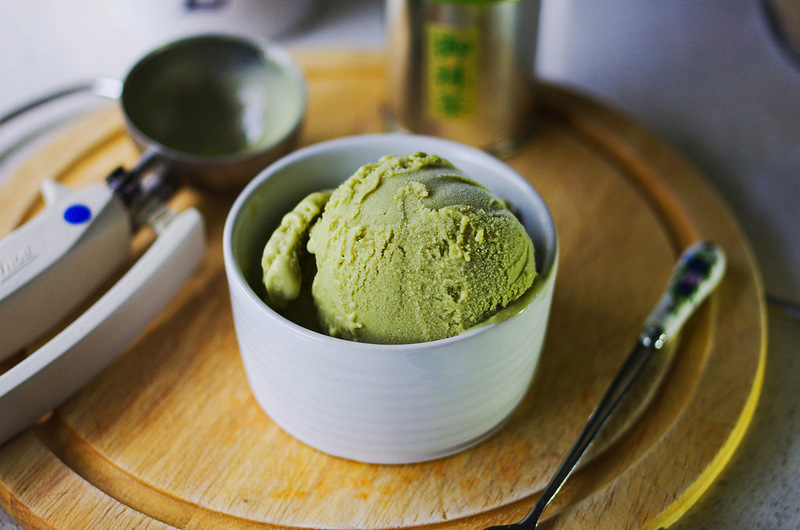 Combine matcha powder and hot water in a small bowl. 2. 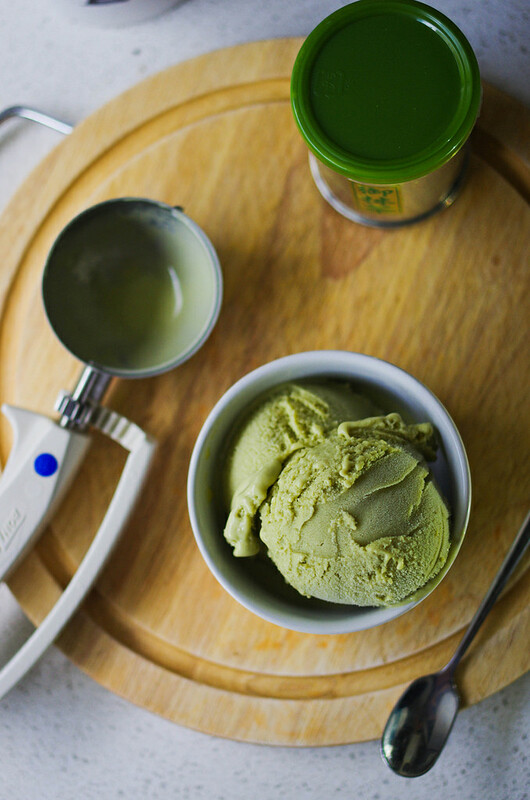 Combine milk and cream in a saucepan, then add the matcha mixture. Bring the mixture to simmering point over low heat. 4. 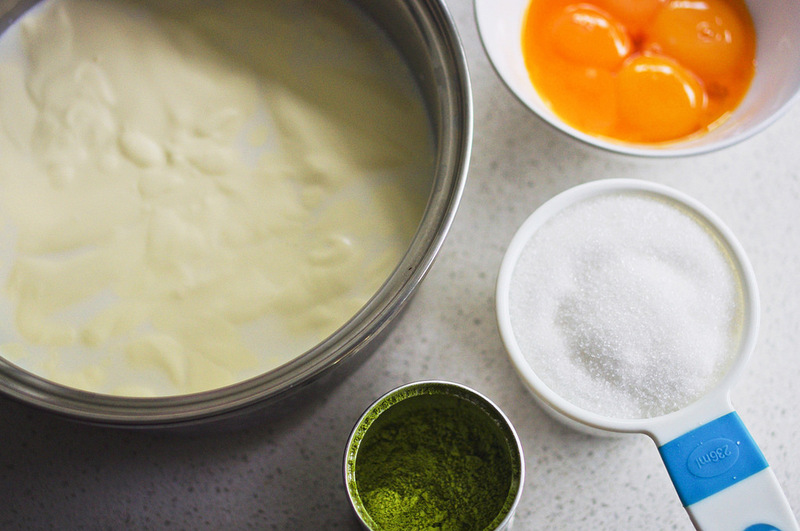 Gradually whisk in hot milk mixture into yolk mixture until well combined. 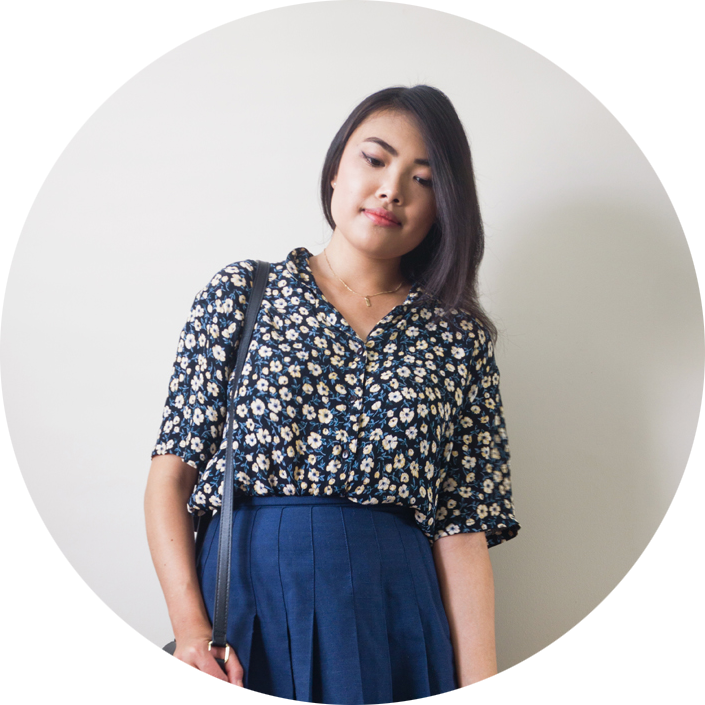 Ideally you’ll have someone to help you with this one! 5. Return the mixture into the saucepan and cook, stirring constantly with a wooden spoon, over low heat until mixture thickens and coats the back of the spoon. Make sure not to overcook it or let it boil, since the mixture could curdle! 6. Transfer mixture to a bowl (or preferably a pouring jug). Allow to cool before placing in the fridge to chill for 4-6 hours or until very cold. 7. Set up your ice cream maker according to the manufacturer’s directions. Turn unit on, and add mixture through the pouring hole. Allow to churn until the mixture has thickened. Depending on your ice cream maker, transfer to a container and freeze until solid. Unfortunately this recipe won’t exactly work without an ice cream maker, but see here for a way around that! Anyway, now that I’ve made ice cream once it’s like a whole world of possibilities has been opened up to me. In fact, I’ve already added Ferrero Rocher ice cream and frozen Coke to the list of things I need to try making in the near future. 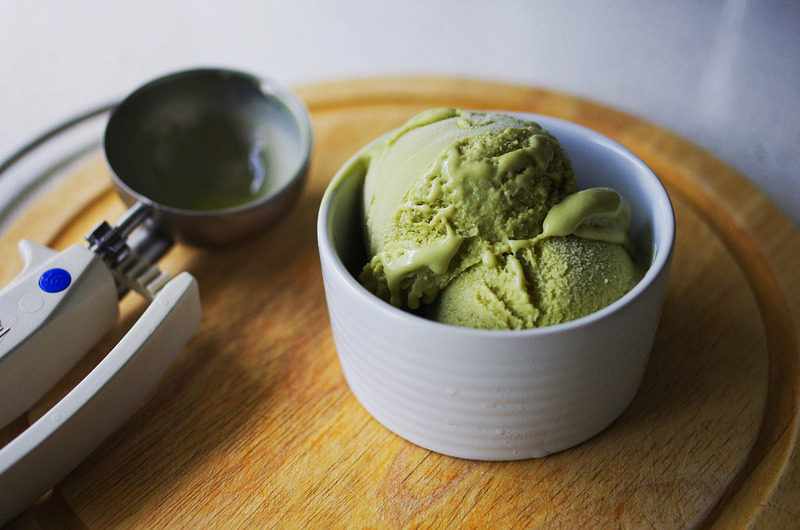 What are some of your favourite ice cream flavours? I’m sure there are plenty of weird ones I’ve never even heard of before!